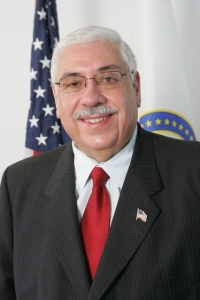 Cook County Assessor Joseph Berrios announced that reassessment notices were mailed to close to 5,000 homeowners in Calumet Township. Each year, the Cook County Assessor’s Office reassesses one-third of the nearly 1.8 million parcels of property located in Cook County. This year, the Assessor’s Office is reassessing properties in the 17 townships located in south and west suburban Cook County. Reassessment notices contain proposed values that will be reflected on second-installment tax bills, which will be due in the summer of 2015. However, the time to file appeals on these proposed assessments is now, when the reassessment notices are received. The deadline date for appeals for Calumet Township is July 14, 2014. Berrios stressed that homeowners do not need an attorney to file an appeal. The Assessor’s Web site also allows taxpayers to search for information using a 14-digit Property Index Number (PIN) or by typing in an address. Homeowners can check their property’s characteristics, as well as search for information on similar properties to use if they choose to appeal their assessments. Residential taxpayers may also file an appeal online and the Assessor’s Web site allows them to search for comparables and add those comparables to their online appeals. The Assessor’s Web site is located at (www.cookcountyassessor.com).